Southern India is all about its rich cultural heritage, spectacular display of performing arts, dance, music and handicraft. Tourists visiting this part of India can feast their eyes on all of this as well as the varied landscape of lush green hills, spectacular waterfalls, exciting wildlife, tantalizing beaches, the calm backwaters, groves of swaying coconut palms, endless greenery and architecturally beautiful temples, churches and other historic monuments. Listed below are some picturesque places to visit in South India. Lakkidi, with its beautiful landscapes and high mountains is one of the coolest places in South India. 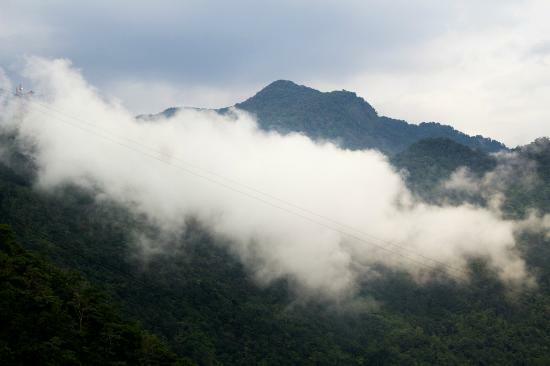 Situated at the highest location in Wayanad, Kerala, at an altitude of almost 700m above sea level, this beautiful destination is blessed with abundant greenery and a variety of wildlife, making it paradise for photography enthusiasts and nature lovers. Owing to its bountiful rain, Lakkidi has rich soil which is great for the cultivation of oranges, spices and coffee and tea plantations. The best time to visit would be from November to February, after the rains or March to May, when it is not as cold. Some great places to visit in Lakkidi are Pookot Lake – a natural freshwater lake where one can spot various wildlife, Chain Tree, Heart Lake, Chembra Peak, Thusharagiri Falls etc. Alappuzha, as Alleppey is currently known, is one of the oldest planned cities in Kerala and a very popular tourist destination of the state. This scenic town, with its canals, backwaters, lagoons and beaches have earned it, it’s moniker of ‘Venetian Capital of Kerala’. 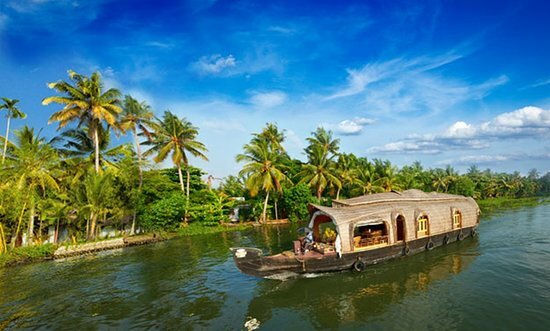 A houseboat cruise in these backwaters can be booked and is a great way to take in the beauty and scenery of Alleppey. The churches, temples and different boat races of Alleppey are another huge draw for tourists. As Alleppey is close to the sea, the climate is hot and humid during summer but very cool and pleasant during October and November, making it a great time to visit. Other places to visit here are the Alappuzha Beach, St. Andrew’s Basilica, Mannarasala Temple, Krishnapuram Palace and many others. 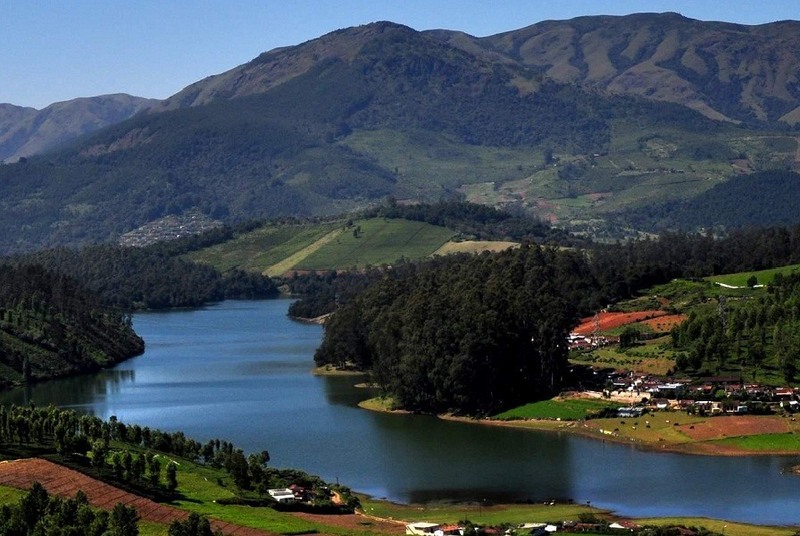 Ooty, also known as Udhagamandalam or Ootacamund, is a very popular and well frequented hill station in Tamil Nadu. With an extremely favourable climate throughout the year, this ‘Queen of Hill Stations’ which is located in the Nilgiri mountains, attracts plenty of tourists, especially as a summer destination. The dense forests, wide expanse of rolling hills, vibrant green valleys, sparkling lakes, beautiful gardens, attractive parks and scenic dams provide visitors with beautiful landscapes and sceneries to enjoy and unwind. Ooty is also very famous for the Kurunji flower, which blooms there once every twelve years and gives the hills a bluish tinge, leading to its nickname ‘Blue mountains’. Ooty can be visited throughout the year, however the months of January and February are very cold through the night. When in Ooty, one must visit Ooty Lake, the Botanical Gardens, Ooty Rose gardens, Doddabetta Peak, etc. Why look beyond the seas for spellbinding scenery and landscape when we have our own little ‘Scotland of India’? 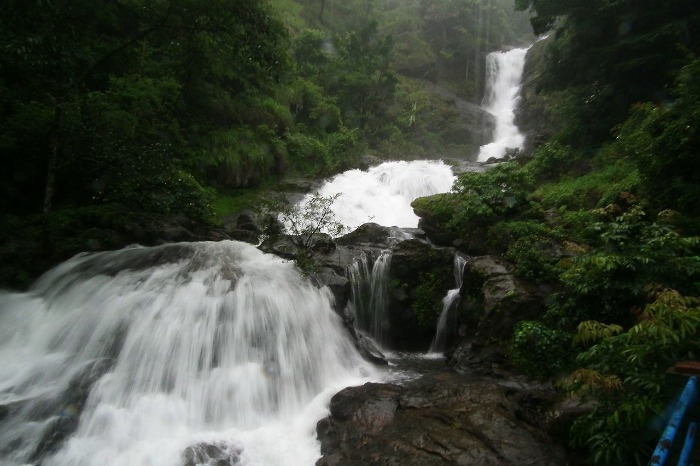 Coorg is one of the most scenic, beautiful and prosperous hill stations of the south. With its almost constant misty environment, dense forested hills, lush greenery and mesmerizing scenery, this hill city is definitely one of the places to visit down South. As much as it is well known for its abundant coffee and spice plantations, it is also popular for its cultural traits, friendly people and warm hospitality. Coorg is best visited during the months from October to March. While in Coorg, one can visit the Golden Temple, the Talakaveri Temple and watch the sun rise and set from Raja’s Seat. You can also visit nearby places like Ooty, Madikeri, Nagarhole, Dubare etc. The adventurous ones can enjoy some exhilarating waterfall rappelling at Chelavara. 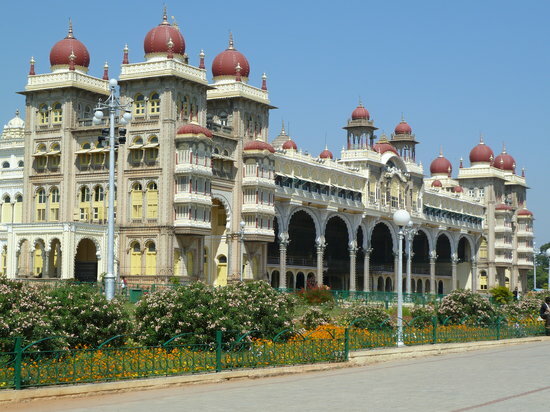 Amazing Mysore is a delight for tourists who are interested in historical facts and cultural heritage of a place. Often referred to as the City of palaces, Mysore is famous for its glorious royal heritage, beautiful palaces, some spectacular royal buildings and splendid monuments. Mysore Palace, one of the most visited tourist places, is most famous for its intricate architecture, design, ancient upholstery and opulent décor and artifacts. During festivals, especially Dussehra, the city and more conspicuously, Mysore Palace comes to life with beautiful lighting. While one can visit Mysore at any time of the year, the period from October to February is really invigorating and very cool and pleasant. Interesting and exciting places to visit in Mysore are the Brindavan Gardens, Mysore Palace, Chamundeshwari Temple, Mysore Zoo, Somanathapura Temple etc. A very famous pilgrimage destination in India, Hampi is also a UNESCO World Heritage Site and is situated near the Tungabhadra river, in the hills and valleys of the state of Karnataka. This city of ruins, bounded in by boulders of varying sizes, has around 500 ancient monuments, comprising of the ruins of majestic forts, beautifully carved temples and shrines, memorial structures, quaint and interesting markets and several other interesting remains of the Vijayanagar Empire. In fact, one can get a wonderful view of the entire city and its magnificent ruins by climbing onto the top of some of the highest boulders. 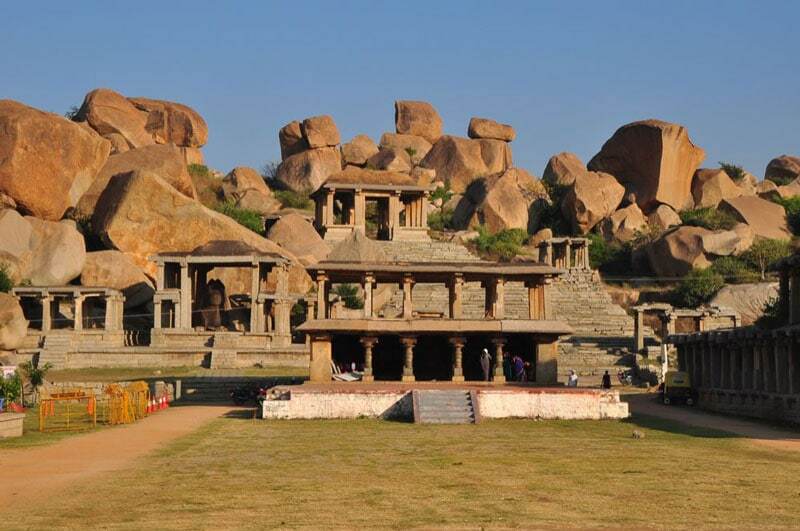 October to March is when the climate cools down considerably in Hampi and so makes it the best time to visit this city. Lovers of history can explore the various ruins, visit the famous Virupaksha and Vithala temples, Elephants Stables, Queen’s bath, etc.